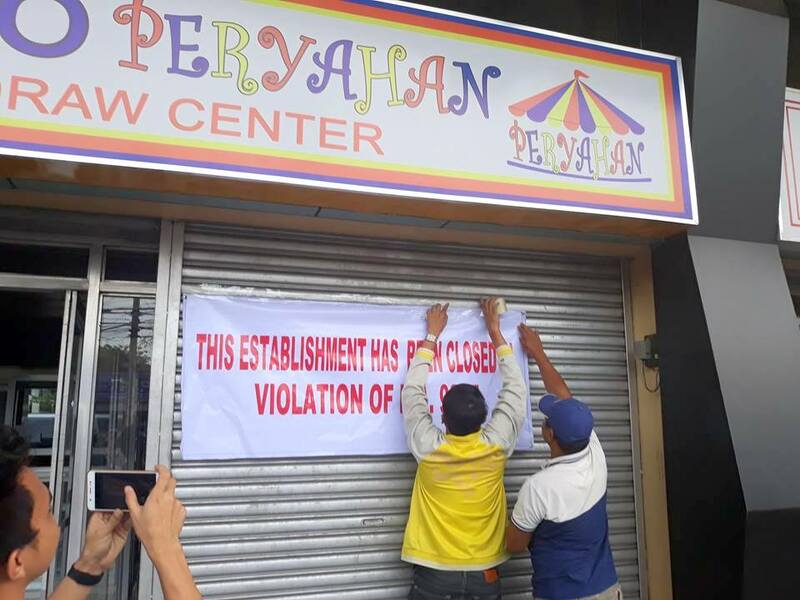 Philippine Charity Sweepstakes Office (PCSO) officials, backed by members of Police Station 4 (PS4), shut down a ‘Peryahan ng Bayan’ outlet along Burgos-Lacson Street in Bacolod City for allegedly engaging in an illegal numbers game. PCSO-Manila representative Manuel Fraginal, Sr. said the establishment was found in violation of RA 9287, which applies increased penalties for illegal numbers games, and Executive Order No. 13, signed by President Rodrigo Duterte, which intensifies the fight against illegal gambling. Fraginal pointed out the establishment is illegal and is not allowed to operate, pointing out, only the PCSO, and not local government units, can issue permits to operate. He added, money collected by the establishment does not return to the government. Tensions initially rose while serving the closure order, however, employees eventually closed down the establishment after confirming the PCSO documents presented by Fraginal.